FeverPitch Basecamp provides every Individuals/Families/Corporate teams with unique activities to choose from. WE have our own in-house Team building instructors, Activity Facilitators and Hosts. If you are an individuals and intend to visit our place, please call our sales team to buy tickets. For Corporate groups, you can choose billing based on bulk booking. Fever Pitch Basecamp is the Number 1 attraction in Bangalore listed by Tripadvisor. CRICKET, VOLLEYBALL, CHESS, CARROM, WATERVOLLEYBALL, FISHING. COST: STARTS FROM 1000/- UPWARDS. cost:- 1500/- per person including taxes. Tented Accommodation with bedding & Campfire,ATV Ride ( 250cc), Rock Rappelling, Zipline , Jumaring, Commando Walk Kayaking/Canoeing, Swimming, Paintball, Fishing, Trekking, River crossing, Team Building, Breakfast, Lunch, Hi tea & Dinner. Cost: Rs 3,000 – Rs 4,700 per person + Taxes. Cost includes, Breakfast, Lunch, Hi tea & Dinner + activities. Combination of 300 cc, 250 cc and 800 cc bikes , Suitable for a group of 6 to 10. age above 14. Package includes: 15 minutes briefing, 5 minutes trial, 2 km tour of feverpitch basecamp, Lunch complementary, Watersports complementary. Cost: 2000/- per peron including taxes. check out our videos to know more about ATV tours. 4.) Kayak Tours- across Manchinbele Dam: kayaking across the Dam with Lunch. Note: please book/buy tickets prior to the visit. Prebookings mandatory. Captured on request. Check with sales team to know the costing. CORPORATE TEAM OUTINGS IS ALWAYS FUN. 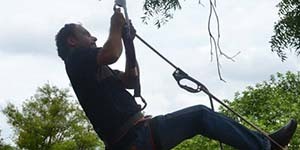 TEAM ADVENTURE IN BANGALORE CAN BE INTERESTING WITH OVERNIGHT STAY AND ONE DAY OUTING. FEVER PITCH IS THE BEST TEAM OUTING PLACES IN BANGALORE. 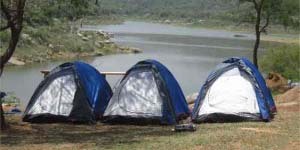 FEVERPITCH IS THE ADVENTURE CAMP IN BANGALORE OR ADVENTURE RESORTS IN BANGALORE WITH ADVENTURE SPORTS IN BANGALORE WITH CAMPING IN BANGALORE AND OVERNIGHT CAMPING . 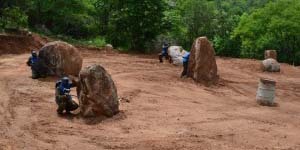 ONE OF THE CAMPSITES NEAR BANGALORE NEAR MANCHINBELE CAMP OR MANCHINBELE RESORT. 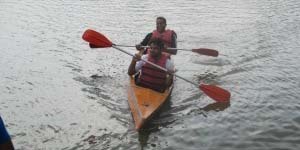 BEST SUITED FOR OUTBOUND TRAINING AND RESORTS IN BANGALORE FOR DAY OUTING. RESORTS IN BANGALORE FOR TEAM OUTINGS ARE FEW AND ONE DAY TEAM OUTING PLACES IN BANGALORE. ONLY JUNGLE RESORTS NEAR BANGALORE WITH ONE DAY OUTING OPTION AND RESORT IN BANGALORE BEST FOR CORPORATES. ONLY RESORTS IN BANGALORE FOR TEAM BUILDING ,CORPORATE TEAM BUILDING ,ONE DAY TEAM OUTING IN BANGALORE, TEAM OUTING PLACES IN BANGALORE ,CORPORATE DAY OUTING CORPORATE TEAM OUTING, OVERNIGHT TEAM OUTING.